Introducing the 2016 recipient of both the prestigious Red Dot and iF Product Design awards: the new XPower, the latest generation of large wheel loaders from Liebherr. During product development, fuel efficiency, power output, robustness and comfort were the core requirements. These principles influenced the development of the design, unifying functionality and aesthetics. 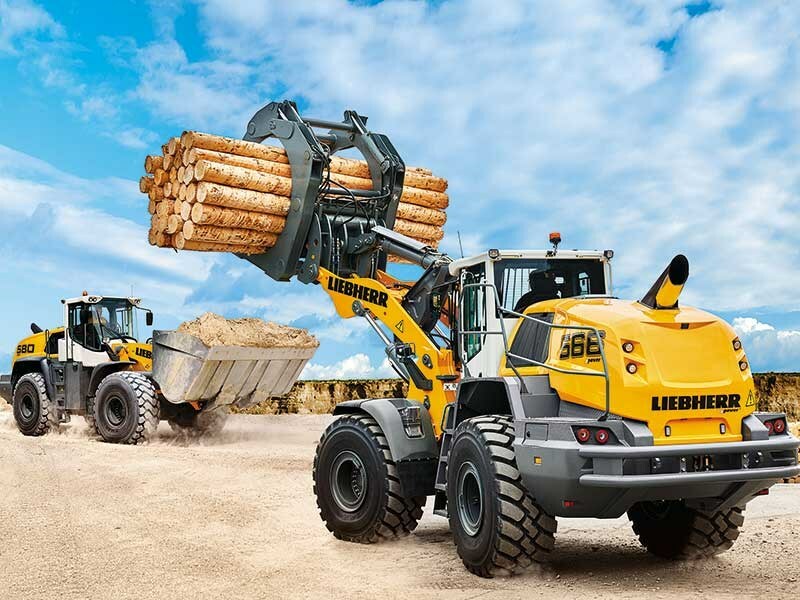 Resulting in a machine that is powerful, user-friendly and safe, embodying Liebherr’s principles from the front blade to the rear bumper. Creating a wheel loader that shows off its qualities even when standing still. Practical design solutions were at the heart of the new XPower concept: increasing safety, productivity, reliability and reducing costs associated with maintenance and fuel consumption. This has been achieved by creating an operator/machine interaction that facilitates efficient, safe and productive operation. The modern ergonomic cab design provides the operator with a maximum level of comfort, enabling him to concentrate on accurate operation without fatigue, increasing safety and productivity. The Liebherr control lever, which is built into the operator’s seat as standard, allows precise and sensitive control of the machine. The generous glass surfaces and the design of the engine hood – which has been optimised for viewing – provide excellent all-round visibility. This ensures maximum safety for people, the machine, and the load. The most important points for daily maintenance can be seen at a glance in the access area of the XPower. Quick and safe control saves time and money. The claims of Liebherr’s core principles of fuel efficiency, power output, robustness and comfort have been proven in extensive tests and trials amounting to 80,000 hours in a variety of applications. In quarrying operations, the L 550 XPower – L 586 XPower wheel loaders excel with their high handling capacity. The XPower generation can use standard buckets that are between 0.2 and 0.5 cubic metres larger, depending on the model. 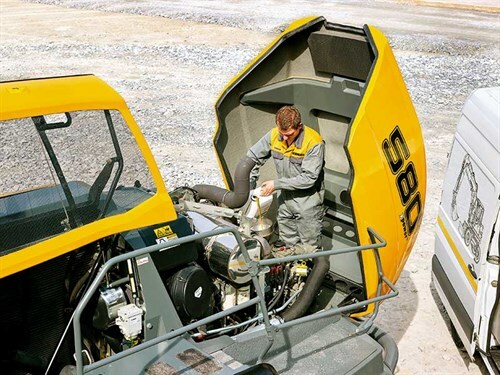 The standard bucket volume varies between 3.2 cubic metres for the L 550 XPower and 6.5 cubic metres for the L 586 XPower. This allows machine operators to move more material with each loading cycle. To further improve operational productivity, Liebherr has reinforced the lift arm and optimised the lever ratio. The revised Z-bar linkage results in breakout forces that are up to 20 percent higher than those of previous machine generations. The XPower offers the greatest level of efficiency and maximum output in all areas, regardless of short and long distances or flat ground and even inclines. This has been made possible through the innovative power-split transmission, combining the best of both the hydrostatic and mechanical concept. The hydrostatic driveline is the most efficient type of drive for loading operations over short distances. The mechanical drive is the most powerful and efficient option for travelling over long distances and driving up gradients. It is variable and continuously adapts the mixing ratio of the two-drive paths automatically. 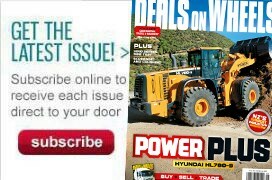 Thanks to the power-split drive, the wheel loader is always optimally powered to ensure maximum productivity. This results in fuel savings of up to 30 percent in comparison with conventionally-driven wheel loaders. In addition, there is minimal tyre wear and hardly any brake wear. At maximum handling capacity and efficiency, this reduces operating costs significantly, further increasing profitability. Liebherr XPower wheel loaders provide maximum performance even under the toughest and most challenging conditions in surface mines. The components of the Liebherr XPower are designed to be extremely rugged and low-wear which ensures a long machine life and reliability in use. Every XPower is fitted with stronger axles than the previous machine generation. 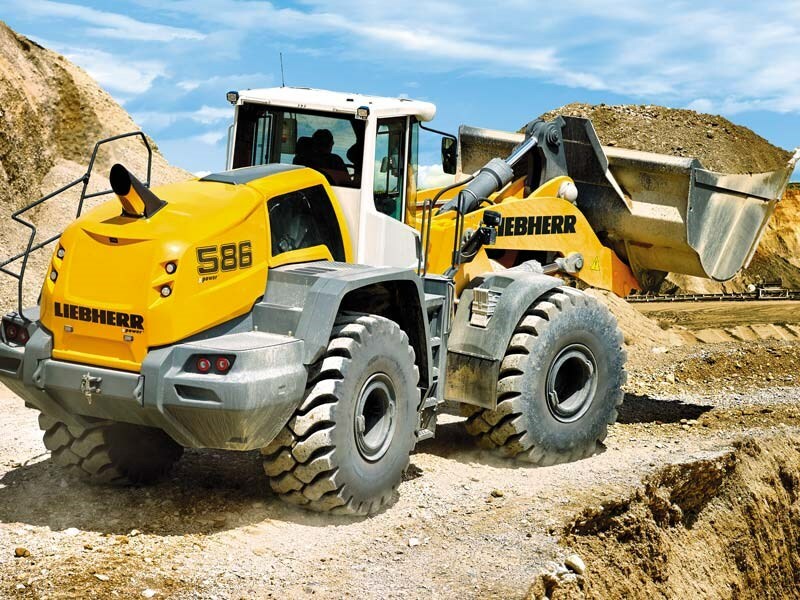 In addition to the axles, Liebherr has reinforced other core components such as the hydraulic cylinders. Liebherr continues to develop and manufacture key components in-house or in partnership with premium manufacturers. 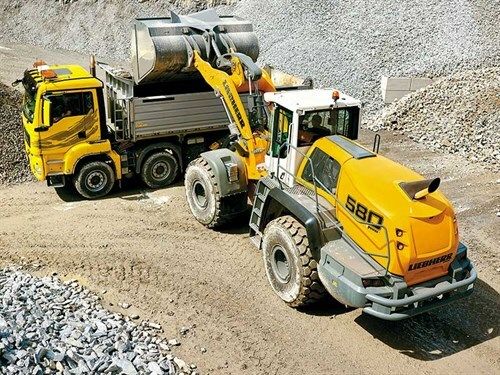 This means Liebherr can ensure the consistent high quality of the components used. 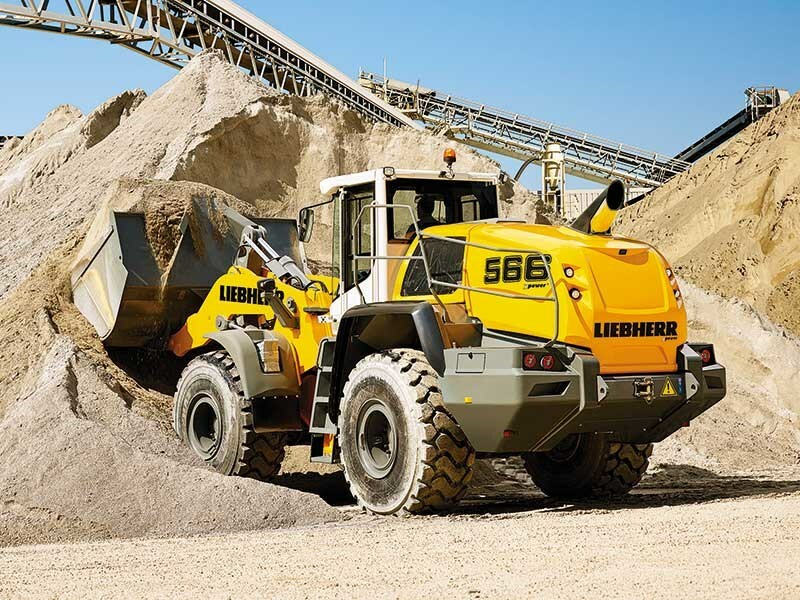 Another innovation is the SCR technology, developed for diesel engines by the Liebherr Competence Centre which enables all XPower wheel loaders to meet the Euro Stage IV/Tier 4f emission regulations achieving up to 2000-hour service intervals between oil changes. This simple, reliable and highly effective emission reduction system has fewer components and auxiliary consumables than conventional diesel particle filter systems. Diesel particle filters and exhaust gas recycling, for example, are no longer required with SCR technology. As SCR technology does not require filter regeneration, high exhaust gas temperatures are avoided, thereby significantly reducing the risk of fire. This improves the system’s reliability and increases machine availability.